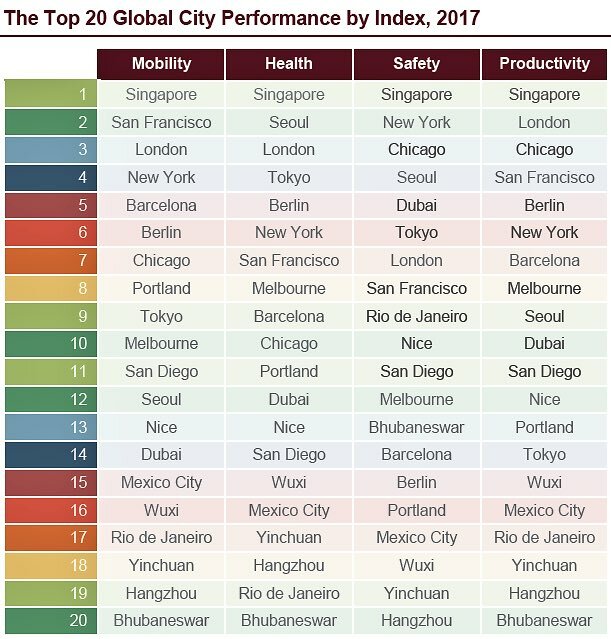 By beating London and New York, Singapore has emerged top in a global smart city performance ranking in 2017, according to a study by market researcher Juniper Research. The Global Smart City Performance Index – sponsored by global technology player Intel, – ranks the top 20 global smart cities in terms of the integration of Internet of Things (IoT) technologies and connected services across four key areas: mobility, healthcare, public safety and productivity. After topping the first list of smart cities released by Govt of India based on the plan, now Bhubaneswar becomes only Indian city to be present in this coveted list along side the likes of Singapore, New york, Chicago, San fransisco etc. As per the Global Smart City Performance Index 2017 released on Monday, Bhubaneswar has been ranked 13 so far as‘Safety’ is concerned and has been ranked 20 in terms of ‘Mobility’, ‘Health’ and ‘Productivity’.